Driving games could stand to lighten up a bit. Not to take anything away from acclaimed series like Gran Turismo, Forza Motorsport, and Project CARS, but sometimes you just want to crash through the competition while mashing the boost button ‘til your thumb hurts. Unfortunately, aside from the occasional Mario Kart or TrackMania game, arcade thrills have been in short supply in recent years. Enter Onrush, made by a new team at Codemasters largely comprised of folks who used to work for defunct MotorStorm developer, Evolution Studios. Onrush aims to recapture the brash, rough-and-tumble fun of MotorStorm and other arcade racing classics like Burnout, FlatOut, and Excite Truck, but does it pack the proper nitro-powered punch? Or is the game a disappointing flameout? The first thing you need to know about Onrush is that it isn’t, technically, a racing game. Sure, you’re driving at breakneck speed around looping tracks, but there’s no finish line in sight. 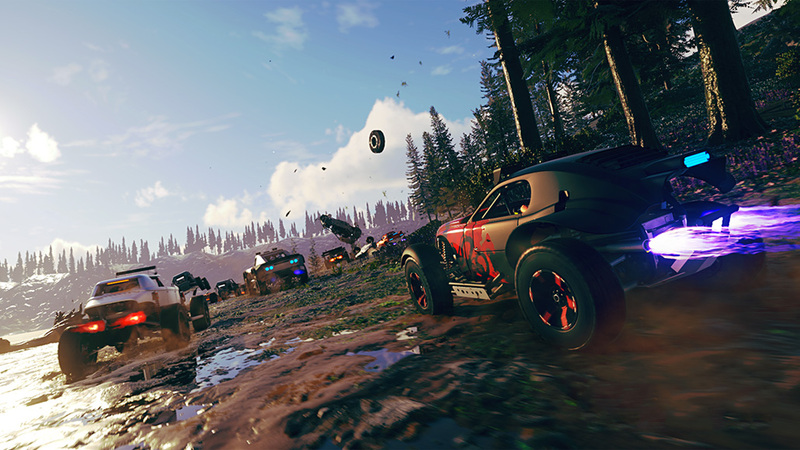 Onrush is more accurately classified as a vehicular combat game, one which often resembles team-based shooters like Overwatch or Titanfall in its rhythms. That isn’t necessarily a bad thing. In Onrush’s standard Overdrive mode, your goal is to build your boost gauge by catching big air, pulling off tricks, and smashing into opponents. You then burn off your boost to gain points for your team (every Onrush match is a 6v6 battle). Unleash enough boost and you’ll be able to briefly activate Rush mode, which transforms your vehicle into an unstoppable juggernaut that can easily shred adversaries and generates extra points for your side. 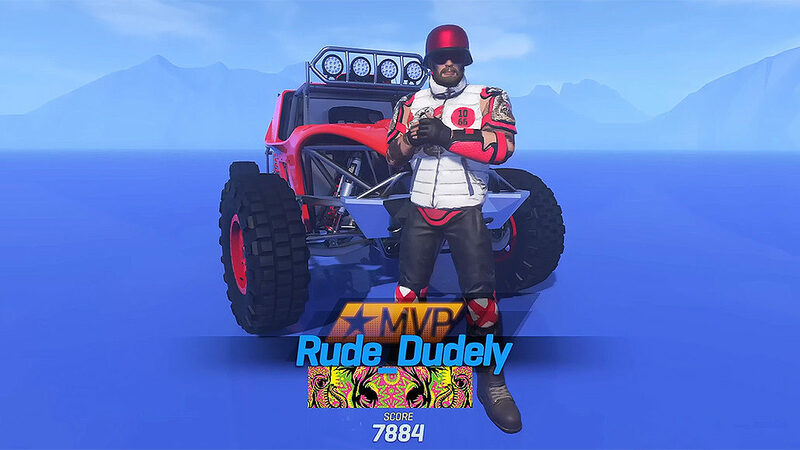 There’s no benefit to treating Onrush like a traditional racer and trying to get ahead of your opponents, and if you fall behind, the game will automatically catch you up. The game would prefer you stay in the thick of things, duking it out. Wrecks are just temporary setbacks — you’ll respawn about 10 seconds later in the midst of the action. Onrush boasts eight vehicle classes, ranging from lightweight bikes to heavy-duty off-road vehicles. Each vehicle handles somewhat differently, but what really sets each class apart are its unique abilities. For example, the Dynamo class is all about support, dropping pickups for your teammates whenever you boost, while the heavy-duty Titan focuses on defense, providing shields for teammates and dropping barriers when Rush is activated. Other vehicles specialize in offense, tricks, or building boost. The focus on abilities is certainly a more interesting way to differentiate vehicles than the boilerplate speed, handling, and acceleration stats most driving games use. Those hoping for a more traditional experience are probably gritting their teeth at my description of Onrush thus far, but trust me, you can unclench your jaw. Onrush is laser-focused on the most entertaining elements of the arcade racer, namely big jumps, boosts, and crashes. Battles are hard-fought, gripping encounters – watching your side slip behind when you’re out of action following a crash can be agonizing, while narrowly grabbing the victory for your team with a impressive extended boost is satisfying as hell. 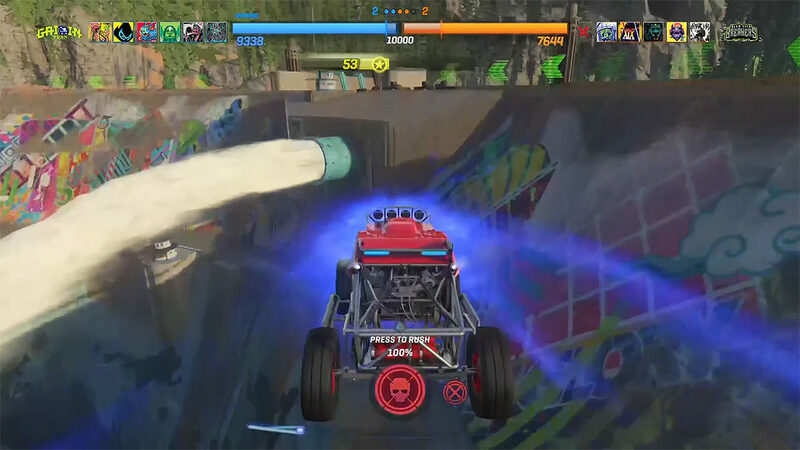 Overdrive isn’t Onrush’s only mode – there’s also Countdown (hit gates to keep the clock from running down), Switch (a 3-life throwdown that gives you increasingly powerful vehicles each time you crash), and Lockdown (a version of king of the hill, in which you fight for control of a moving zone). Countdown and Switch are entertaining options, but Lockdown is a bit of a dud. The zones you’re fighting to control move too slowly, making them easy to accidentally overtake. In order to stay in the zone, you have to slow right down, which goes against Onrush’s “Always be boosting!” ethos. Here’s hoping Codemasters tweaks Lockdown post launch. 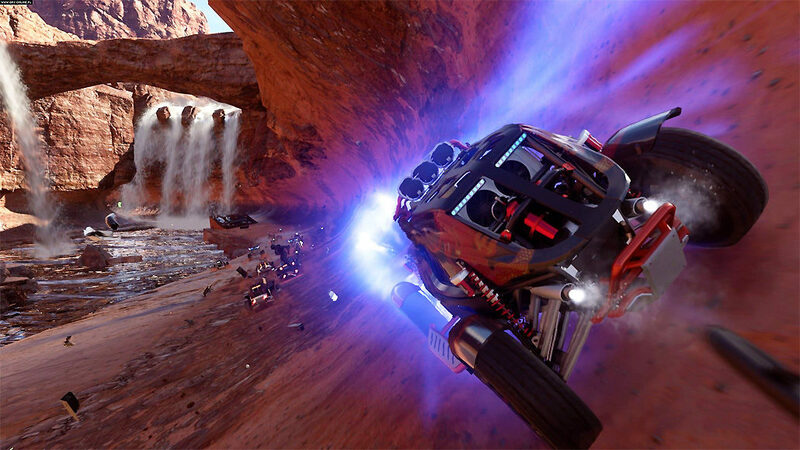 Onrush serves up a solid dozen courses, many of which are inspired by real-life American landmarks like Yellowstone National Park, Hoover Dam, and the Grand Canyon. Of course, all these locations have been twisted and heightened for wacky car combat. Each course is packed with huge jumps, obstacles, and shortcuts, with very few traps to slow your momentum. The developers really have done a remarkable job of making sure these tracks almost never feel cluttered or confusing. I say almost, because Onrush also lets you set the season, time of day, and weather conditions for each race, and there are some combinations you should avoid. As in real life, trying to drive at night in a snowstorm isn’t much fun. Onrush is a good, occasionally great, looking game. Not that you’ll have much time to take in the sights when you’re in the mix with up to 23 other vehicles (5 teammates, 6 opponents, and 12 “fodder” cars). Despite the wide-open vistas and all the action on screen, Onrush maintains a solid 60fps on a standard PS4. A laudable technical achievement. 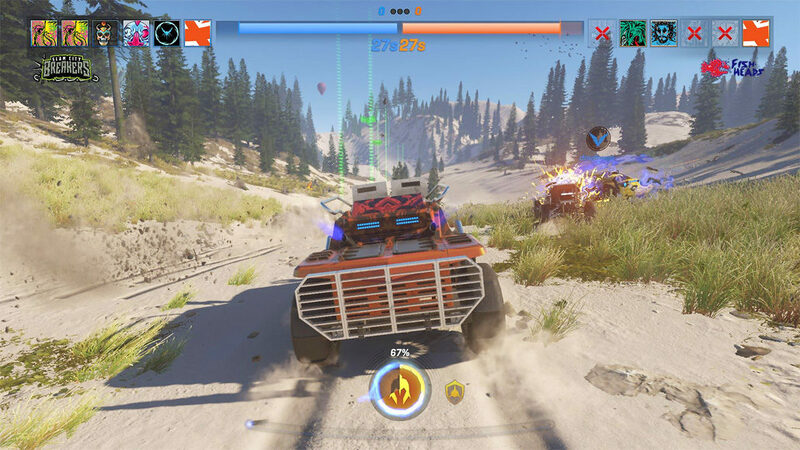 While Onrush is best played online, the game does feature a full arcade-style single-player mode. Playing solo is fine, if not terribly engaging, as being the only human amongst 11 AI vehicles tends to make match outcomes feel rather arbitrary. At least single-player is an easy way to earn XP for loot boxes. Yes, Onrush has loot boxes, which are used to unlock paint jobs, outfits, and other cosmetics. Thankfully, they’re easy to earn and can’t be bought with real money (yet). Which begs the question — why bother including loot boxes at all if you’re not going to make any money from them? As is, Onrush feels just a touch light given its $60 price tag, but Codemasters is planning to soup up this ride with a series of free content updates, so I’m confident the game will be worth its while over the long haul. This review was based on a PS4 copy of Onrush provided by publisher Codemasters. You can purchase it for your preferred platform via Amazon. Onrush is a smart, modern rethink of 2000s era arcade driving games, which deftly combines over-the-top, blazing-fast action with elements of popular team-based shooters like Overwatch. No, Onrush isn’t a traditional racing game, and it may take a little getting used to, but those willing to give something new a chance are in for a raucous ride.